Paws for a Better Life, Inc. 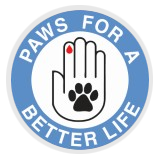 Copyright © 2017-2018 Paws For A Better Life. All rights reserved.